The 3 weeks we had with my mom, with grandma, were wonderful. She split her time between our home and Hans and Gretchen's place, plus we had time with everyone in the mountains. We went to favorite eateries and celebrated Maria's birthday. We went on some nice walks. She guided me though some domestic duties I've been neglecting... guidance is needed and appreciated. We did a lot, and after her first day back home, I already miss her and can think of a dozen things I meant to do, say, share. For certain I thought I would take more pictures, especially family portraits. Clearly, 3 weeks is just not enough time. So, I am already happily anticipating next time. Quickly, before taking her to my brother's, I thought to snap a few pictures of my mom with my daughter, and I could not be happier with that stroke of genius. A strong breeze had begun to blow from the north, and we remarked that Oregon was in the wind, calling her home. Even with wisps of hair across her eyes, I love Maria's pretty face next to my mother's beautiful face. Those smiles. Their light. Such a lovely sight. Seeing them evokes the pleasure I feel when I think of them together. I see love and humor and joy. I see freedom of expression, and passion for living. I see my mommy and my baby... what a blessing, what a wonderful gift. 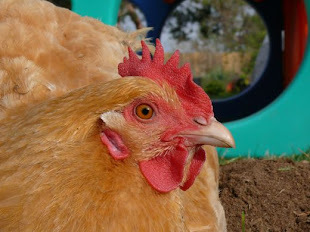 Sometimes Chickenblog reminds me of a family album, a scrapbook of memories and treasured moments. I will turn to this page many times. Such beautiful photos... I have tears in my eyes, they are so touching. I truly can see the joy and the love for life and for each other. A passion for living is precious, and these photos remind me of that. Your mom and Maria are treasures to be sure. You have such a beautiful way with your words. You made me cry! I hope my kids will feel about me the way you feel about your mom. What precious photos, Natalie. I love that you took multiple ones to capture more dimensions of your mom and Maria. Natalie, your photos are always wonderful! I love seeing so many of your mom and Maria together. I'm so glad she was able to come spend lots of time with your family, she looks well! There is no denying a relationship there! I'd love to see a picture of the three of you, I bet it would be fantastic! There is nothing like family to enjoy time and make memories with. Such great pictures! The breeze makes the perfect touch! They both look so pretty together. Your mother is so photogenic. And of course your daughter is so sweet too. Its important to take these pictures. We live away from my people too...it is so special to have them come around. My kids always are crazy with excitement which is a lot of fun. Great pics!